Before boarding the vessel later this afternoon, take the opportunity to independently explore Nashville - America’s beloved “Music City” where music is historically woven into its social, professional and cultural foundation. From its humble beginnings in the late 1700s to its modern day prominence, this vibrant city cultivates a unified environment of creativity that pervades the culinary, literary and musical scenes. 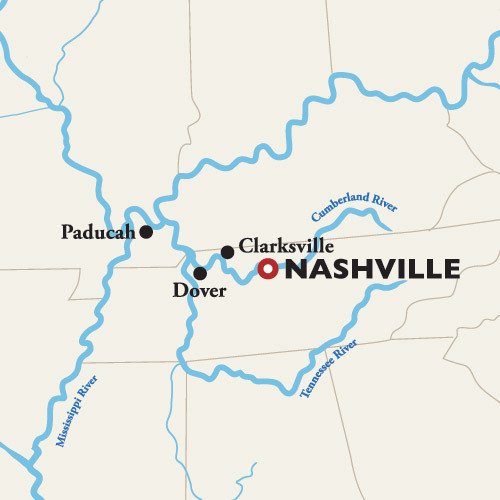 From the Grand Ole Opry at historic Ryman Auditorium, the “Mother Church of Country Music,” to literary hubs like Ann Patchett’s Parnassus bookstore and celebrated restaurants such as The Catbird Seat, the diversity of Nashville offers an unimaginable number of ways to experience the city from a perspective all your own.